Welcome to my Subtle Energy Techniques website. Here you will find safe, nature therapies that can help you to achieve a healthy mind, body and spirit. Our bodies have the innate ability to heal itself. Sometimes, however, our bodies and mind become stressed and we may need intervention in order to heal. Energy based therapies involve the body's energy system. They are gentle, non-evasive and without side effects. They trigger the body's own healing mechanism to kick in, so the body can heal itself, like it was meant to. 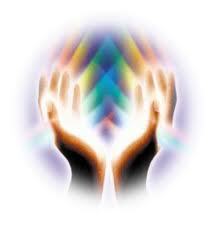 Energy therapies are holistic in nature. They see and treat a person as a whole. Only when you treat mind, body and spirit as a whole, can there be true healing. Feel free to peruse this website. If you have any questions, please don’t hesitate to contact me. I look forward to guiding you on your path to wellness and happiness.